When I visited my first movie location years ago I never imagined it would morph into such a fun and fulfilling hobby. Now, over a thousand locations later and I enjoy it as much as ever. It's great to know that so many other people have the same fascination I do regarding wanting to know where their favorite movies were filmed. This site is for anyone who may wish to have similar experiences or even share theirs. No problem and thanks Mr. Bishop, I appreciate it. Oops I know I didn't put just horror sorry!! Thank you JediMom Tricks, I definitely plan on adding more! I actually visited The Goonies locations a few years back but the pics turned out so poorly I didn't even bother adding them to the site. Looking forward to going back though. Paul - your website is amazing, such a gem! I can spend hours looking through these. Can't wait for some more iconic movies like Goonies. Do you go to all of these places yourself or are people contributing to you? All in all, this website/blog is gold. 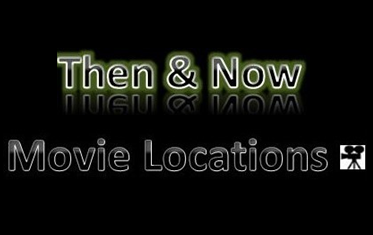 It would be nice to be able to search by location in addition to by movie, just a suggestion. And one day I will visit the Evil Dead site! Thanks a lot Matt, I appreciate the kind words. I personally visit all of the locations but anyone who may want to send a pic of theirs for me to post are more than welcomed. Also, I appreciate the feedback. Hope you enjoy the Evil Dead locations as much as I did! Paul, you need to figure out where Tourist Trap was filmed. I've often wondered where the gas station and waterfall is located. I agree! I remember watching that movie when I was a kid. Thanks Christopher! Last summer I actually visited the location of the church as well as the old abandoned building at the end (neither of which is there anymore). Private message me if you're interested in seeing the pics. Hi Paul - Nigel here from the UK - can you watch the movie "The Car" and document its related movie locations? If you're interested I live close to Guildford which featured locations in The Omen II (the guildford cathedral) - I can send before/after shots for your site? forgot to say in my previous post awesome site! Thank you very much, Nigel. I finally got around to watching The Car and thought it featured some pretty neat and scenic filming locations. A location article for that film would certainly be a possibility. Thats a great website. Thank you for all the work you put in here. Thank you, Kaffeefahrtin. Glad my website could help in regards to your visit to the U.S.
Hi Paul, are you still adding new stuff? I live in L.A. and frequent many old filming locations if you'd like any pics. I had a chance to watch "Pat Sematary Filming Locations" and "The Lost Boys(Grandpa's House)" on your YouTube Channel. They're awesome. Hope more coming soon. Thank you Bee M. and I'm glad you liked them. Bhakanan, tell the truth, is the best part of the lost boys video the guy in the green shirt at the start? This site is awesome!. Congratulations, you are doing a great job. Thank you for the kind words, The hitcher. ¡Hola Espana! Love your site! Great stuff Paul. Great site! I'm heading to the Salem's Lot locations in a few months. Any chance you could put a map of some kind up so that if I were traveling to a certain location or state, I could instantly check to see if anything on your site was filmed around the area? Just a thought. Keep of the great work!